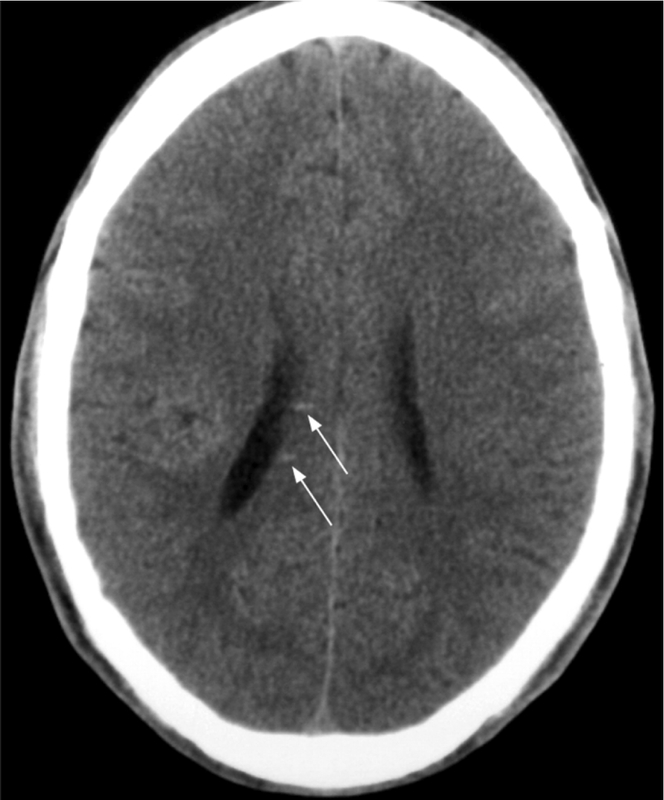 Presenting cases of mild traumatic brain injury (TBI) has always been more of a challenge than more severe brain injuries that may include open skull fractures, large areas of intracranial hemorrhage or visible cerebral contusions. Of course this is because of the lack of clear physical evidence of injury in the various types of radiological studies. A case with a massive depressed skull fracture, a huge subdural hematoma or large areas of bruising in the brain have pathologies that are clear in the CT or MRI films, even to a lay audience. Closed head injury or concussion cases most likely do not have such clear and obvious physical manifestations. 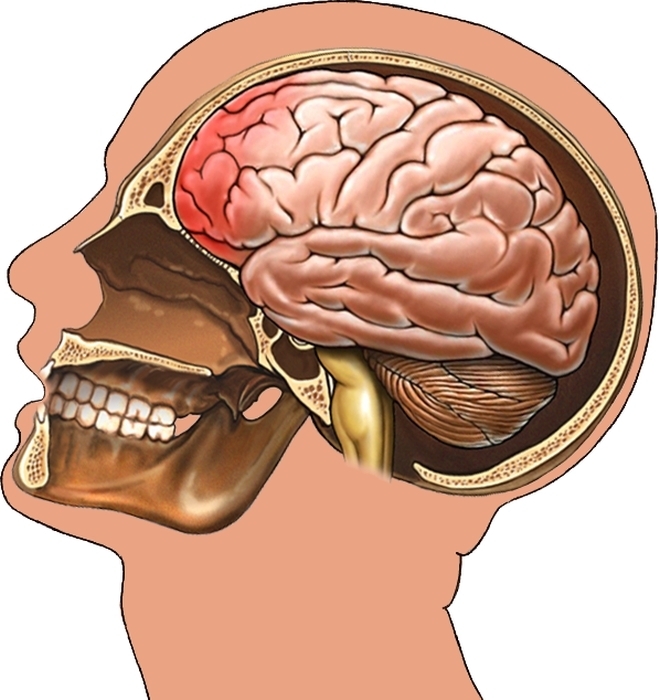 The injuries in a mild TBI case that lead to long term or permanent neurological deficits and symptoms in the patient occur on the microscopic level affecting individual brain cells and the connections between these cells. The impact forces that occur when the brain impacts the inner wall of the skull can displace or shear these connections leading to injury and death to the affected nerve cells. Traditionally, this mechanism had to be discussed theoretically since these microscopic injuries could not be seen in the post-accident radiological studies. This discussion was often a challenge since it had to involve a description of the neurons, the connecting axons, the gelatinous nature of the brain tissue, the shearing forces and the final disruption and death of the affected cells. Thankfully, MRI technology has improved dramatically over the years. Modern MRI studies have a resolution so fine that the small lesions created by a shear injury can often be demonstrated. These lesions primarily result from petechial (pinpoint) hemorrhages or the small regions of scarring that develops after this bleeding has resolved. The following image is a good example of the type of lesion that I often see in these cases. Certainly a legal case argued before an average jury can be more effectively presented when there is physical evidence of the injury. These small microscopic injuries may not be as dramatic or clear to the uneducated viewer as other larger pathologies, but at least the attorney presenting this evidence does not have to rely solely on a discussion of a theoretical process in a brain that remains completely normal in appearance. Who knows what the future may hold. I believe that the technology will only continue to improve and that soon we will have routine studies that can show these injuries in even greater and greater detail. Are You and Your Expert Speaking the Same Language? Medical terminology has been specifically designed to allow medical professionals to describe the human body, its parts, possible defects and associated conditions or procedures in a very exact way that is instantly clear to the listener or reader. In this system, words are built based on root words, prefixes and suffixes. The various elements of the word are usually derived from Greek or Latin and can be combined in multiple ways to produce almost endless options. Prefixes are added to the beginning of the root word to designate size, location, number or time involved. Suffixes are added to the end of the root word to specify a condition, type of disease or procedure. For example, let’s look at the word hemilaminectomy. “Hemi” the prefix meaning half, “lamina” the root word meaning the flat posterior aspect of the vertebral arch, and “ectomy” the suffix meaning to cut out. So combined together “hemilaminectomy” means the surgical removal of half of the lamina of any spinal vertebra. Sounds simple right? Wrong. As with any system, it is only simple if everyone follows the rules. Regretfully, it has been my experience that many experts are influenced by the era they attended medical school, where they went to school, where they currently practice and arbitrary personal preferences when it comes to how strictly or loosely they utilize medical terminology. For the purposes of this article I will use examples related to intervertebral disc injuries and spinal surgery to show how medical terminology can be corrupted. First we’ll look at the categorization of intervertebral disc injuries. “Officially” a disc injury that results in an expansion of the disc material beyond the normal border while the nucleus material remains contained within the annulus should be referred to as a bulge or possibly a protrusion. 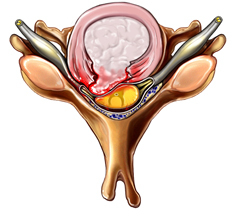 A disc injury that involves a tear of the annulus allowing the nucleus to protrude beyond the border of the disc should be referred to as a herniation, rupture or extrusion. It is a clear-cut differentiation, but it doesn’t always work that way. I recently reviewed a case with a patient who had undergone three MRI scans within months of a motor vehicle accident. When viewing the films, it was clear that there was no change in the amount of disc protrusion from study to study, but a different radiologist had reviewed each of the MRIs. One report referred to the injury as a bulge, another called it a protrusion and the third listed it as a herniation. I have seen similar discrepancies from expert to expert in reference to the same exact MRI study. Similar departures from standard medical terminology can be seen in reference to surgical terms. The example we used above was hemilaminectomy that refers to a complete removal of half of the lamina. Similar terms include laminectomy, the complete removal of both sides of the lamina, and laminotomy, the removal of a small portion or the creation of a window in the lamina. These three terms have very specific definitions but I have seen in countless operative reports a surgeon refer to all three by the catchall term of laminectomy. You have to read the details within the body of the narrative report to determine what was actually done. These are just a few examples. The point I’m trying to make is that you should not assume that your expert is always following the rules of correct standard medical terminology. When meeting with or corresponding with you expert, you need to go deeper and insist on detailed descriptions of his opinions and definitions of any terms that he uses. Also, be suspicious of terms you encounter in the medical records. If a client has a disc bulge before the accident and then has a herniation afterward, don’t immediately assume that there has been a worsening of the condition. It may just be a difference in the terminology used by each of the radiologists. Only a direct side-by-side comparison of the films can reveal if there is any change in condition. Are You Missing Your Best Chance to Settle Your Cases? Authenticate. The presentation of demonstrative evidence in demand letters and settlement conferences shows that you are serious and credible. They make it clear that you have done your homework, know your material and are prepared to go to trial if necessary. Educate. Your opponent must understand your argument before he can accept or counter it. Visual aids are the best way to communicate complex medical science or technical issues that lie at the heart of a personal injury or medical malpractice case. Intimidate. Regardless of the words you use, no description can be as dramatic as the visual representation of an injury. Let your opponent see the types of demonstrative evidence you have available and she will immediately imagine its effect in trial. connect the dots between the lesions illustrated and a host of plaintiff deficits, the case settled for the largest amount in the history of the San Francisco Municipal Railway." Finally, there is always the issue of cost. Perhaps the best feature of pre-trial presentations is that you don’t have to pay a premium to insure that your demonstrative evidence is case-specific. Without the strict rules of evidence in force during trial, you are at liberty to find examples that may be a close, but not necessarily perfect, representation of your issues. This allows you to take advantage of previously created illustrations available through The Doe Report (http://www.doereport.com). The Doe Report website is an archive of over 60,000 illustrations and exhibits that were created specifically for use in litigation. A keyword search feature allows you to browse the content and locate items that can represent an almost endless array of anatomy, pathology, injury and surgery. Best of all, these stock exhibits are available for as little as $119, just a fraction of the cost of traditional custom illustrations. The vast majority of attorneys I work with prefer to settle their cases early rather than risk the expenses and vagaries of trial. Your settlement conference is your best chance to achieve a positive outcome that is best for you and your client. With so much riding on your presentation, why not use all the ammunition available to you? Is Your “Silver Tongue” Costing You Gold? Regardless of how strong your verbal communication skills may be, visual aids can make your interactions more efficient, persuasive and effective. These enhancements to your presentations can translate into success by gaining more clients, saving valuable time with expensive experts and achieving your goals in settlement or trial. It’s actually been demonstrated that using visual aids are 43% more persuasive than those relying on words alone*. In addition, attorneys who use medical demonstrative evidence (MDE) for personal injury and medical malpractice cases report a higher likelihood of a favorable case outcome during pre-trial vs. not using MDE at all**. To help you better utilize visual aids in all aspects of your practice, I’ve compiled a list below showing how and when attorneys can best use MDE. I hope you’ll also check back with my blog going forward as I am committed to going deeper into many of these topics with future blog entries. Approximate Cost: $119 to $139 per exhibit. Settlement Conferences. In the same way MDE improves demand letters by making them more compelling, dramatic and persuasive, the same holds true for settlement presentations. In the case of settlement conferences, however, your budget might warrant an additional investment in a customized stock exhibit from The Doe Report or a fully Custom Medical Demonstrative Evidence from MLA. In cases where your client's medical condition involves very specific injuries, surgery or pathology, and the expected settlement value exceeds $60,000, you can justify the cost of a custom medical illustration to depict and dramatize your specific case facts. A brief call to MLA at 1-800-338-5954 lets you speak to a highly trained Medical Visual Advisor who can revise an exhibit from The Doe Report to meet your needs, or who can design Custom MDE based specifically on your case facts. Recommended MDE resources: The Doe Report and/or Medical Legal Art Custom Approximate Cost: $119 to $1199 per exhibit. Mediation. In pre-trial arenas such as mediation, when the rules of evidence are much more lenient, you can sometimes take advantage of lower-cost stock MDE from stock illustration, saving money while still offering a dramatic and compelling presentation. However, if you cannot find exhibits on The Doe Report that adequately present your case facts, a Custom MDE solution from MLA might be in order. Both Stock and Custom exhibits are available in a variety of media and formats. If in doubt, a Medical Visual Advisors at MLA can assist you in choosing the best MDE option, matching your communications goals to your budget requirements. Recommended MDE resource: The Doe Report and/or Medical Legal Art Custom Approximate Cost: $119 to $1529 per exhibit. Expert Depositions. Animations and computer presentations are priced according to the number of hours needed to complete the MDE. 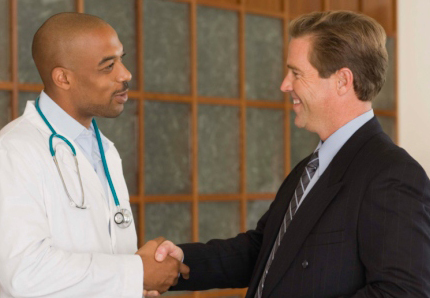 Strategically, you should consider preparing your MDE early and with the assistance of your medical expert so that it can be used during your expert's deposition. MDE helps your expert transform a potentially dry, technical discussion of case facts into a dramatic and informative presentation of your position. Also, consider the rules of evidence in your jurisdiction: normally, you will have far greater success with admissibility of your MDE during trial if it is discussed and approved during an earlier expert deposition. Recommended MDE resource: The Doe Report and/or Medical Legal Art Custom Approximate Cost: $119 to $1529 per exhibit. and/or Medical Legal Art Custom Approximate Cost: $119 to $1529 per exhibit. *Wharton Research Center at The University of Pennsylvania, 1981. **Medical Legal Art Attorney Survey, 2003. For over 20 years I have had the pleasure of working with trial attorneys from all across the United States. My position with Medical Legal Art has provided me with an opportunity to build a number of great relationships within this community, and the purpose of this blog is to "give back" to these clients by offering informative looks at topics geared specifically to their concerns. One of these great clients is Anthony Castelli Cincinnati personal injury lawyer. He has been successful in using our medical demonstrative evidence in many many cases, and today he has volunteered to be the very first Guest Host that I have featured on my blog. 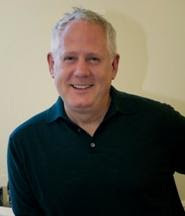 He will offer his tips on trial tactics for medical exhibit use. I know that you will find his insights informative. As you read, keep in mind that I would love to consider your articles as well if you have written topics that you believe would be beneficial to other trial attorneys. Enjoy! In a personal injury trial as a personal injury lawyer my goal is to use everything I can to focus the jury on the serious nature of the personal injury my client suffered often in a car accident injury case, but it can be any type of injury such as a construction accident or a fall in a store. The injuries can range from low back herniated disc injury, a traumatic brain injury, a rotator cuff shoulder injury. In fact it is almost limitless as to the way the injury occurred and the type of injury that can be shown. It is also critical to connect the injury causing event to the injury my client has. This is called proximate cause. One of the best ways I know to focus the jury on the injury and help them understand the injury is the use of a properly prepared medical exhibit. I have worked with Ben Broome and Medical Legal Art to prepare dynamic medical exhibits for me that have been used in real jury trials. There are several critical things that a medical exhibit must have for it to be of good use in a personal injury jury trial. 1 It must be large enough for the jury to see, at least 24 by 36 inches or bigger. 2. The medical exhibit must accurately depict the injury. 3. The exhibit must look professionally prepared with graphic presentation and colors that catch the eye. 4. The medical exhibit must be easy for the jury to see and read. It's important in a personal injury case to explain the impact of the injury on the person's life. All of this is aided by a great looking exhibit. The medical exhibit can show the pre injury anatomy and then the post injury state as well as any surgical procedure necessitated by the injury. The Cincinnati personal injury lawyer can then use this exhibit with their doctor at trial. It is good to send the doctor the exhibit prior to trial or even during its preparation so the doctor agrees that it accurately depicts the injury and is helpful to the jury in understanding the injury. These are the foundation questions to getting the exhibits use in evidence. The use of the exhibit with your doctor will slow down the doctor when he describes the injury and treatment so the jury can follow and better understand his testimony. Keep the exhibit even after its done with the doctor in full view of the jury. Also use the exhibit in your opening and closing statement. That way you will focus the jury on your client's injury and hopefully this will help translate into getting maximum compensation for your personal injury client. Above is a video I prepared on the trial of a personal injury case and how to put the focus on injury. The exhibits depicting the personal injury and surgery were prepared specifically for my case by Ben Broome and Medical Legal Art. Anthony Castelli Attorney 8170 Corporate Park Drive, Suite 220, Cincinnati, Ohio 45242 513-621-2345 is a Cincinnati personal injury lawyer. I received a call last week from a client who wanted to know which side of the neck contained the carotid artery and which side contained the jugular vein. I was a bit shocked at first but after giving it some thought I have realized that, although my clients are highly educated, their expertise is in a completely different area. Some things that I consider common knowledge may be completely unknown to those who missed it in high school biology class and haven’t come across it since. Therefore, I think it might be helpful for me to offer a basic primer on some of the major anatomy and physiology concepts in these blog posts I write each month. 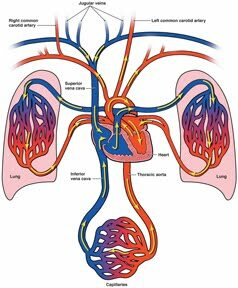 Today, in honor of that client who was trying to find the carotid artery, I’ll cover the basics of the circulatory system. The circulator system (cardiovascular system) is easiest to understand if you divide the structures into three groups: 1) the heart, 2) the great vessels, and 3) the peripheral vessels. But overall, we must first understand that the circulatory system is a transportation system like a series of highways and smaller rural roads that act together to provide oxygen and nutrients to the various tissues of the body and to carry away waste materials and toxins. I will use this transportation and roads analogy extensively throughout this primer. I use this analogy rather than a similar analogy based on rivers or house plumbing because roads allow traffic in both directions. Arteries, which carry blood from the heart out to the body, and veins, which carry blood from the body back to the heart, often run together side-by-side, just like the north and southbound lanes of traffic on a highway. The heart is a fist sized muscular organ that pumps the blood throughout the circulatory system. The heart is divided into four hollow chambers, two on the right and two on the left. 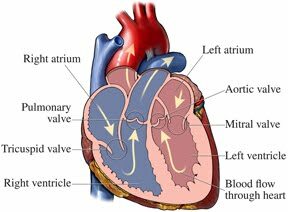 The two upper chambers of the heart are called atria (singular, atrium). The two lower chambers are called ventricles (singular, ventricle). All blood enters the heart through the atria. The deoxygenated blood carrying waste carbon dioxide enters the right atrium through the superior vena cava and inferior vena cava, the largest veins of the body. Freshly oxygenated blood arrives into the left atrium from the lungs via the pulmonary veins. These atria are relatively thin walled without much muscle and their only task is to pump the blood that they receive from the veins down into the ventricles below. The ventricles are responsible for the major pumping action of the blood and therefore have much thicker muscular walls. The right ventricle pumps blood out to the lungs via the pulmonary arteries where the blood can release the built up waste carbon dioxide and take on the all-important oxygen in a process called gas exchange. The left ventricle pumps blood out through the aorta that, through the variety of branches and divisions we will describe below, will reach all regions of the body from the top of the head down to the bottom of the feet. 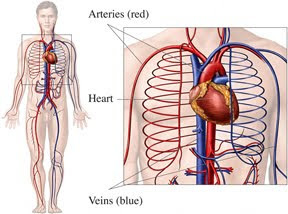 The great vessels are the major arteries and veins that connect directly to the heart. Each of the great vessels is unique so some memorization is required but there are only a few so we should be able to cover them quickly. Let’s start with the arteries. As I mentioned above, arteries carry blood away from the heart. The aorta is the largest artery in the body since it is the major highway for blood flowing to all regions of the body. It is easily recognized because it arises from the top of the heart, forms a large loop (the aortic arch), and courses down behind the heart and down through the midline of the chest and abdomen. 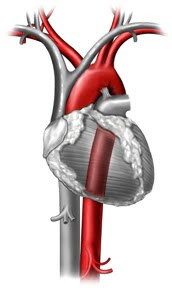 The aortic arch has three large branches in the upper chest; the brachiocephalic artery, the left common carotid artery and the left subclavian artery. The brachiocephalic, which courses upward and to the right soon divides into the right subclavian artery and right common carotid artery. As the aorta courses down through the back of the abdomen, it has a number of branches that vascularize the abdominal organs and spine. Low in the abdomen the aorta divides (bifurcates) into the left and right iliac arteries that course down through the pelvis and into the legs. Another artery that arises from the top of the heart is the pulmonary trunk that bifurcates into right and left pulmonary arteries that send blood out to the lungs. This division of the pulmonary trunk forms a capital T shape and lies just beneath the aortic arch. The great veins include the superior vena cava, inferior vena cava and the pulmonary veins. All blood returning to the heart from the arms, upper torso, head and neck enter the superior vena cava from the right and left jugular veins and the right and left subclavian veins via the right and left brachiocephalic veins. The blood returning from the lower body enters the inferior vena cava that runs alongside the distal aorta in the back of the abdomen. Four separate pulmonary veins provide blood flow from the lungs into the posterior aspect of the left atrium. 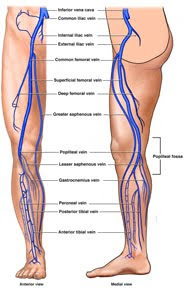 The peripheral vessels are a bit easier to recognize and remember because many of the peripheral arteries and veins have an adjacent course (like north and southbound traffic) and have identical names. This is true for the iliac, femoral and popliteal arteries and veins in the legs, the subclavian, brachial, radial and ulnar arteries and veins in the arms and the carotid arteries and jugular veins in the neck. What confuses many is the fact that many of these different vessels are actually just the same continuous structure that has different names depending on the location. Think of a street that changes names for no apparent reason when you go through an intersection. The subclavian artery becomes the brachial artery when it passes from the chest into the upper arm and then becomes the ulnar artery after the radial artery branches off in the elbow region. Also it is good to remember that, except for the vessels of the chest and abdomen, all vessels are symmetrical with the exact same structure in each arm, each leg and on each side of the head and neck. As with the skeleton and the various muscles, the circulatory system can be intimidating simply because of the vast number of structures and multiple names for each. The good thing is that few need to remember each and every structure to understand the system as a whole. You can always refer back to illustrations and diagrams to find the exact location or name of each vessel, but it is good to retain a working knowledge of how the blood is pumped by the heart, taken out to the body via the arteries and returned to the heart via the veins.